The Joseph J. Brunner landfill receives approximately 70,000 tons of municipal solid waste per year and generates approximately 6.5 million gallons of landfill leachate per year. For more than a decade, the landfill has managed its leachate treatment process using thermal evaporation. Brunner Landfill upgraded its treatment strategy to better address their current and future needs using the Heartland Concentrator. 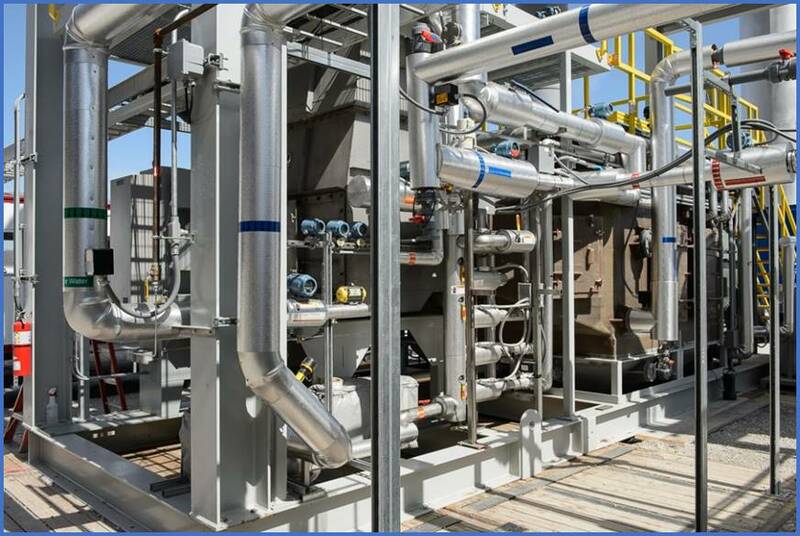 The strategy utilizes the combustion of landfill gas to fuel the Heartland Concentrator, resulting in greater than 95% volume reduction of the leachate and high operational uptime, while maintaining operational flexibility to accommodate variable landfill gas and leachate flow rates. The Heartland Concentrator proved to be a strong option to treat FGD wastewater for ZLD. System availability was greater than 90%. The concentrator could process this water, as well as highly variable water occurring during startup, outage, flushing and other routine operations. The effluent total solids concentration averaged more than 60% which was an impressive 10% above the initial target. Simply stated, Heartland Water Technology played a crucial role in supporting the plant’s ZLD compliance. Heartland Water Technology, Inc. was asked to provide a wastewater treatment system to evaporate Flue Gas Desulfurization (FGD) purge water at a Steam Electric Power Plant using Coal as the fuel source. The primary project goal was to demonstrate reliable operation and achieve Zero Liquid Discharge. Flue gas is a viable waste-heat energy source, providing favorable economics for evaporative wastewater treatment compared to other energy sources. Integration as a closed-loop vapor system would allow for concentrator operation without effect on current air emissions or permitting. Entrained fly ash in the flue gas provides suspended particulates that may aid in solidification and stabilization of residuals as part of a (ZLD) process. Scaling of heat exchanger surfaces and other process equipment resulting in excessive downtime and cleaning. Operational hypersensitivity to changes in water chemistry requiring significant monitoring technology and laboratory resources to mitigate process upsets and resulting downtime.